IIUG at Information on Demand in Las Vegas, NV? Date: Thursday, 22 October 2009, at 1:20 p.m. 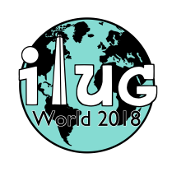 I'm just curious if there will be any IIUG stuff going on at the IBM Information-on-Demand conference next week in Las Vegas, NV? Jonathan Smaby -- Thursday, 22 October 2009, at 1:20 p.m.
kate -- Thursday, 22 October 2009, at 3:49 p.m.
Art Kagel -- Thursday, 22 October 2009, at 3:54 p.m.
Jonathan Smaby -- Thursday, 22 October 2009, at 4:05 p.m.
Art Kagel -- Thursday, 22 October 2009, at 4:10 p.m.
Link, David A -- Thursday, 22 October 2009, at 4:21 p.m.
Jonathan Smaby -- Thursday, 22 October 2009, at 4:26 p.m.